What is the Best Choice for a Cheap Thermal Imaging Camera? What is the Best Choice for a Cheap Thermal Imaging Camera? » What is the Best Choice for a Cheap Thermal Imaging Camera? What Are the Best Thermal Cameras on the Market? Which Fluke Thermal Imager Should I Buy? If you're shopping for a thermal camera, IR camera or thermal imager, then you've come to the right place. My name is Rob Carson. I've worked in commercial construction in Dallas, TX, for the past 20-odd years. 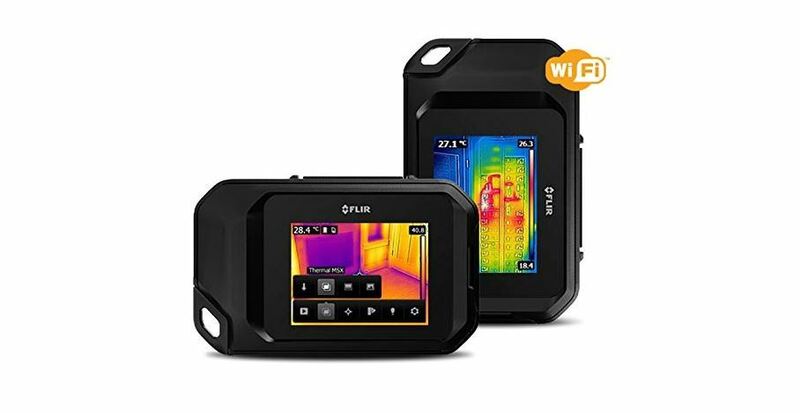 I created this site to help professionals and home owners find the right thermal imager, IR camera or thermal camera for their particular needs. 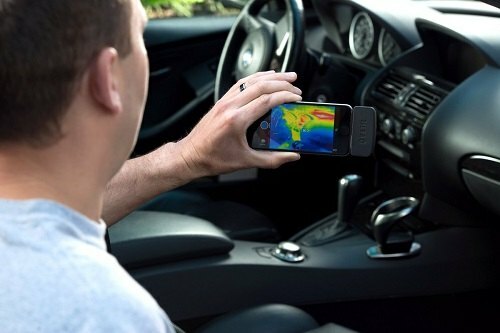 My goal is to make it as easy as possible to find the right thermal imaging unit for you, on your mobile phone. In 10 minutes or less. Thermal Cameras Guide does not accept payment or merchandise in exchange for our reviews. Our reviews are written by us, objectively and honestly. What is the Best Choice for a Cheap Thermal Imaging Camera? When thermal imaging cameras were first developed, they were anything but cheap. The units were big, bulky, hard to move around -- and cost thousands and thousands of dollars. As time passed, thermal imaging cameras became smaller, and more widely available, but still remained expensive. The last decade has brought about even more thermal imager manufacturers, and prices have continued to fall on some of the most basic and entry-level IR cameras. The drops in prices and improvements in technology have been good for consumers, and now a cheap thermal imaging camera is easy to acquire. When I say “cheap,” I don’t mean cheap i quality. I literally mean cheap in price..as long as you think a couple hundred dollars is cheap. Compared to some of the older versions of thermal imagers, and some of the top of the line ones available, that is cheap. While these cheap thermal imagers make capturing infrared images much more attainable for the average consumer, they are in fact still of very good quality. No, they aren’t as advanced as some of the models that run $2k+, but they are more than capable of getting the job done. FLIR, one of the top thermal imaging manufacturers in the world, currently has three distinctly different imagers on the market, each below $500. These three thermal imagers are very different, but all are able to capture quality thermal images for a variety of applications. Here is a quick rundown of each one. We’ll start with what is perhaps the cheapest FLIR thermal imager available. The FLIR One is indeed a thermal imager, but not as a stand alone unit. This particular imager is made for use with either Android or iOS devices, giving you an accurate thermal imager with a simple interface that is very easy to use. The FLIR One connects through the phone or tablet’s charging port, displaying the images onto your screen. The size of the unit is very small, and weighs around 2.75 ounces. The FLIR One has a thermal resolution of 80x60 pixels, which is the standard for lower-end thermal imagers. This device combines the thermal sensor with the visible light camera to provide a more detailed image that combines the two together, giving you a better context to observe the temperature variance. The FLIR One has easy-to-use file sharing features, along with seven different color palettes. It even has video, panoramic and time-lapse modes. 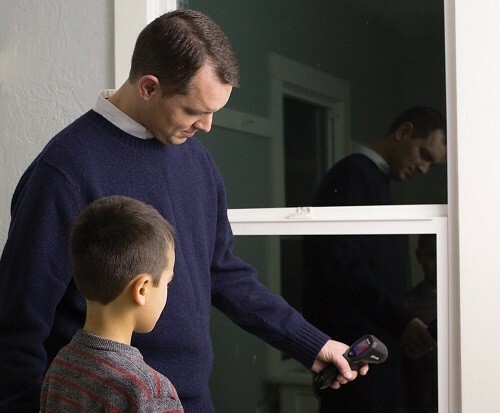 The adequate screen resolution and numerous added features makes the Flir One a bargain, and the perfect entry into the world of thermal imaging. 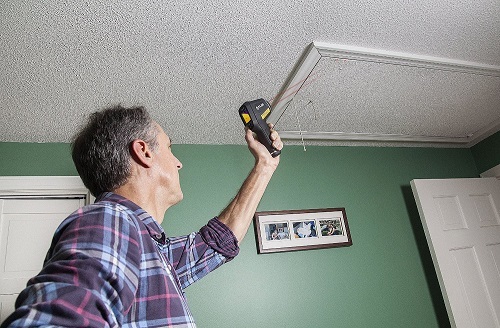 If you want to do smaller tasks in and around your home such as check for air leaks, inspect a wall outlet, or even search for an animal in the dark, the FLIR One has got you covered and then some, all from your phone or tablet. FLIR’s TG line of thermal imagers offers many of the same features and conveniences of higher-end thermal imagers, but in a simpler, bare bones package. The TG130 is the base model for the TG line, and is one of the most affordable handheld thermal imagers you’ll encounter. The TG​​ 130 does not store images to look at later, but it does provide a frozen thermal image on its 1.8 inch LCD screen for viewing. An ergonomic handle and shape makes the TG130 easy to hold, and easy to aim at objects you are capturing. This is done by pointing at the object and squeezing the trigger, resulting in a thermal image with a temperature reading as well. 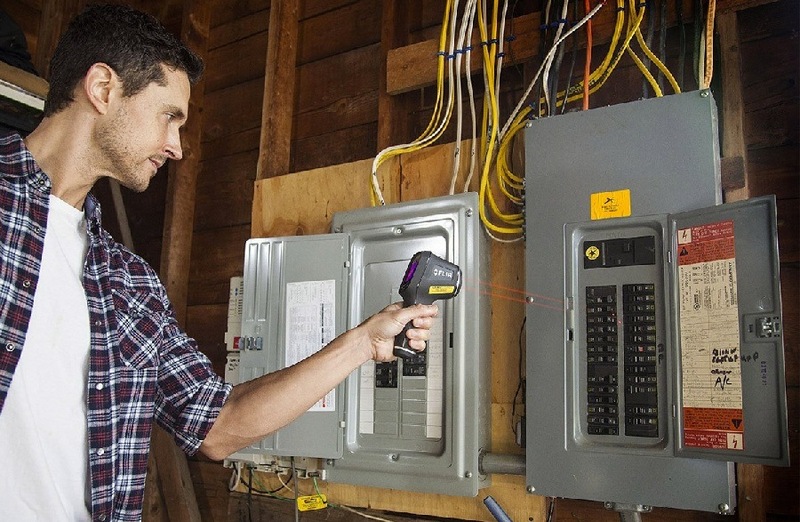 The TG 130 is a very inexpensive thermal imager perfect for beginning users who want a way to have a quick thermal image for DIY projects and small uses around the home, without any other added features that could drive the price up. The FLIR C2 is an incredibly small, handheld thermal imager that is the first of its kind as far as size goes. The C2 is not much bigger than the average smartphone, and sort of functions like one as well. Its small size and flat profile makes it easy to carry around in a shirt pocket, or really any other pocket. While the C2’s size and shape is one of its biggest advantages, it’s not just a novelty device. The C2’s thermal sensor resolution is 80 x 60, and it includes the same MSX technology that allows for you to inlay a visible light image with the thermal image to create a contextual and detailed image. The C2 has a temperature range of -14°F to 300°F, making it suitable for reading temperatures in walls, pipes, ceilings, roofs, engines, and elsewhere. Image files are stored in a JPEG format, which can later be transferred to a computer via USB cord and further enhanced and analyzed with FLIR’s proprietary software. The FLIR C2 offers the same basic 80 x 60 resolution as other low-level thermal imagers, but in a much smaller package. The easy-to-use interface and numerous features only help to push it to another level. Whether you are an experienced thermographer, or a beginner just getting into thermal imagery, you’ll have an appreciation for the unit’s size, as well as the clarity that MSX image inlaying provides. If you lack the budget to acquire a higher-end thermal imager, but still want quality images that you can view instantly and further analyze later, the C2 will be to your liking. It’s the most expensive of the three we’ve featured here. But it’s also the most versatile. 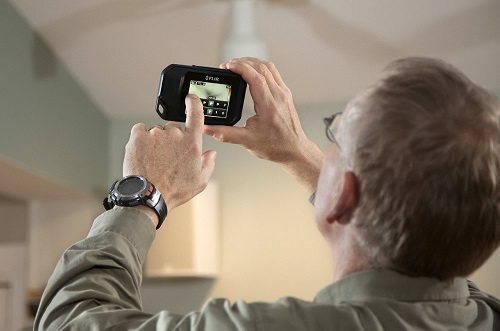 The FLIR C3 is the same model as the FLIR C2 with one key difference: the C3 has WiFi connectivity. That means you can transfer your thermal images to your computer or any other device wirelessly. This is great if you need to share images on the spot with your team or boss. Instead of waiting until you can download the images later via USB, you can share them instantly. For large image batches, the FLIR C3 still has a USB option. Like the C2, the C3 has no SD card slot. Instead, you get 500 images worth of internal storage. The C3 retains the same flat profile that makes it great for portability. The compact size belies its powerful features. The 80 x 60 thermal camera captures images with great detail. There’s also a visual camera that adds visual details to the image for better and faster scene analysis. This image-mixing feature is called Multi Spectral Dynamic Imaging or MSX. With a temperature range of 14°F to 302°F and thermal sensitivity of less than 0.10°C, the FLIR C3 is great for most close range inspections. Emphasis is on ‘close range’. The C3 is not quite powerful enough for applications like hunting and security where long-range thermal imaging is required. The C3’s smartphone-style touchscreen is easy to use. You can navigate through the well laid-out menu and modify settings like time, temperature units, emissivity, screen brightness, lock mode and color palette. If most or all of your work involves close range inspections, you’ll find that the FLIR C3 meets your needs. The level of detail is satisfactory even for pros.The wide range of configurable options lets you customize the camera to your needs. We love the MSX feature. It adds so much more detail to images and lets you analyze a scene faster since you can easily tell what you are looking at. WiFi connectivity is also a big plus for pros working as a team. If you are looking for a capable thermal camera at a pocket-friendly price (and size), we highly recommend the FLIR C3. I work in commercial construction, in Dallas, TX. ThermalCameras is a participant in the Amazon Services LLC Associates Program.